Lionel Montoya has been appointed as the Chief Financial Officer for Fayette County Hospital & Long Term Care. As CFO, Mr. Montoya will report directly to the CEO, Greg Starnes, and will be a member of the senior leadership team. He will oversee all financial aspects of FCH, including financial planning and analysis, accounting and financial budgeting and reporting, negotiations with insurance companies and other payers, as well as daily operations related to accounts receivable and accounts payable. Mr. Montoya is originally from New Mexico. He attained his B.S. in Accounting from Western International University in Phoenix, AZ and his Masters in Business Administration, Finance, at the same university. He is a Certified Healthcare Financial Professional. Montoya also served as a Sergeant in the Unites States Marine Corps. 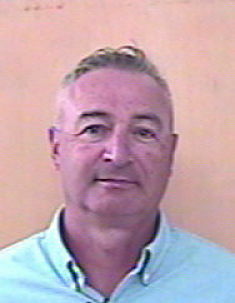 Montoya has worked in health care for 30 years, and just prior to joining Fayette County Hospital, he served as the CFO for Spanish Peaks Regional Health Care in Colorado. Greg Starnes, CEO of Fayette County Hospital & Long Term Care expressed, "Lionel has a wealth of valuable experience to bring to the position of CFO. Additionally, he is personable, energetic, and friendly. I am really pleased to have him on our team." Mr. Montoya and his wife, Terri, have moved here from Colorado. They have a son (Casey) in Denver, CO, and a daughter (Lexi), who will be a senior at the University of Montana. The Montoya's have joined the YMCA. They love outdoor activities and remaining very active.